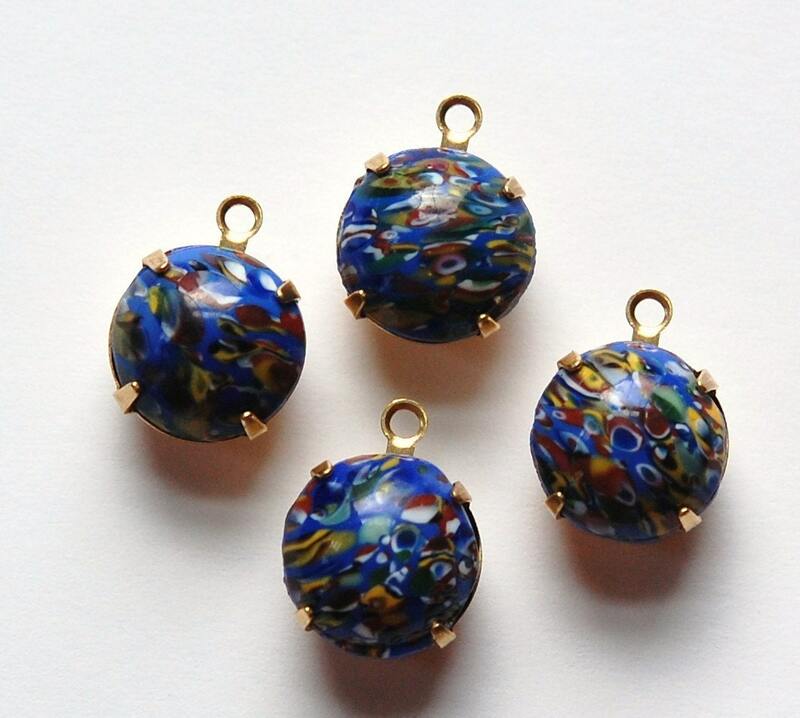 These are vintage blue millefiori glass stones set in brass settings. There is one loop to attach these as a drop or charm. These measure 12mm. You will receive 4 of these.